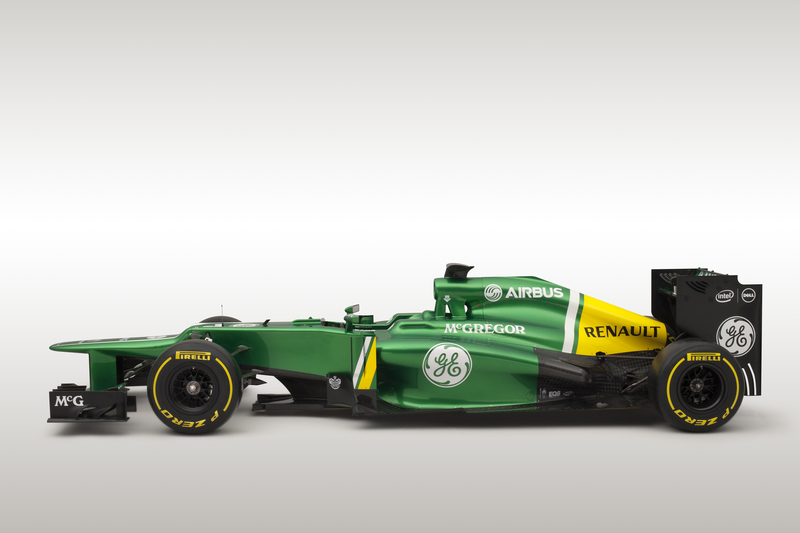 Caterham uncovered the CT03 prior to the opening Formula One pre-season test at Jerez yesterday. The Leafield squad also officially presented its two new drivers Charles Pic and Giedo van der Garde alongside the Renault-powered machine. 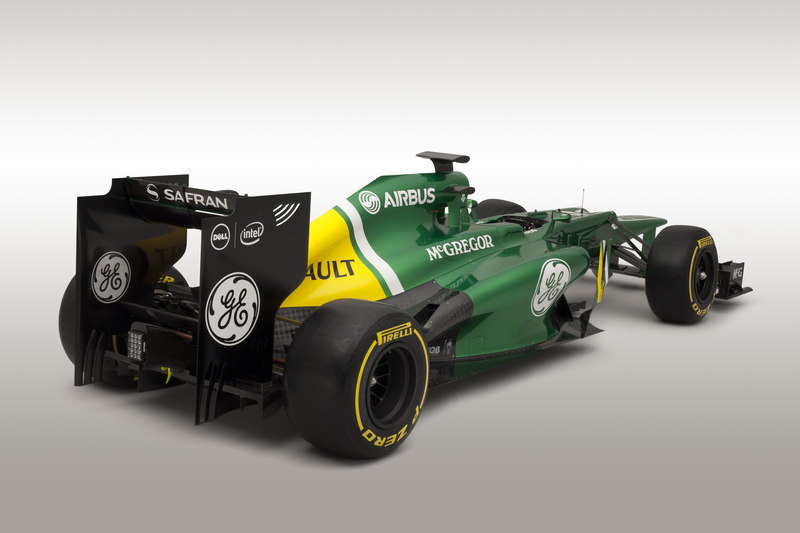 The CT03 is the first of the teams’ cars to be produced at Leafield and it is hoped that it will lift the squad higher up the order. Mark Smith, Technical Director, commented the “…season ahead presented us with an interesting challenge early in the design process as it is the last year of the current regulations before the introduction of the new engine rules in 2014. As with other 2013 machinery, the changes that have been introduced are not so instantly obvious. “Among the most obvious are around the lower chassis where the sidepods have been significantly undercut to improve airflow to the rear of the car. The diffuser, engine cover and cooling exits have also seen major changes and there are more subtle improvements to other areas of the car, such as the sidepod turning vanes and the lower tea-tray area. Like Marussia, Caterham are also running with two drivers low on F1 experience, but with plenty of motor racing years behind them; something Abiteboul is keen to note will not present issues for the squad. 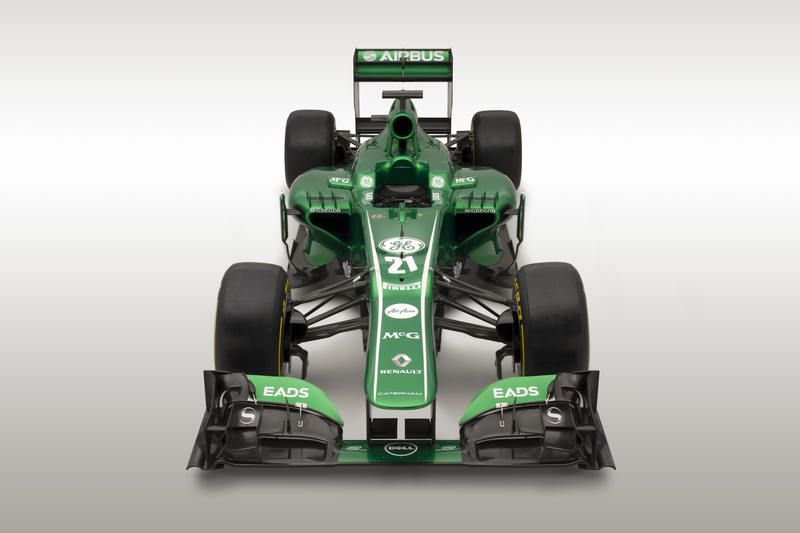 “[Charles and Giedo] give us a good mix of youth and experience inside and outside Formula One. Charles and Giedo are both young and dynamic and we expect that their enthusiasm for the sport and the team will be fuelling our growth. 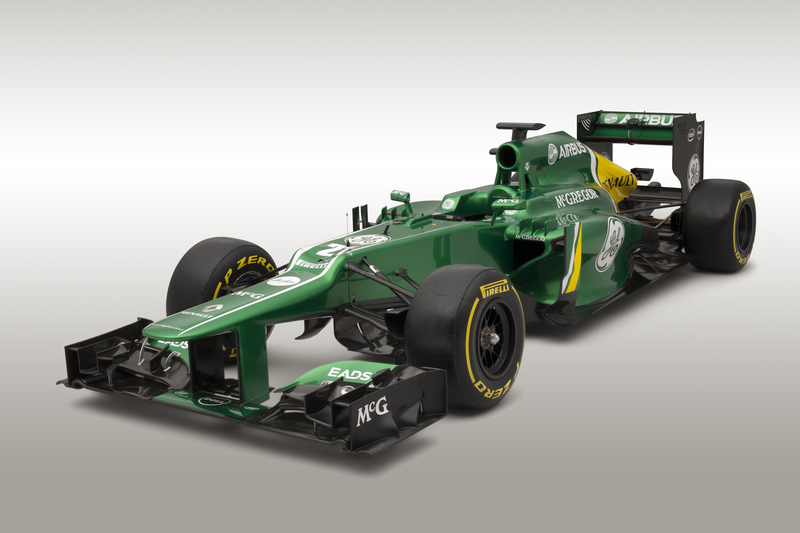 If results of the past three seasons is anything to go by Caterham have a lot of work to do to catch the back of the midfield, but they are closing – slowly.